Adds favorite toys, all toys or toys that contain the partial name. Only the first /select in a macro will be recognized. Any others in the same macro will be ignored. When you create or edit a macro in combat (you should be fighting!) it will wait until you leave combat to turn the macro on or make changes from your edit. If you gain an item or spell that wasn't available as you entered combat, that item or spell won't be in the flyout until you leave combat. A: If you want certain items to list before others, add them manually. ie: /select x-51 nether-rocket x-treme, mount:flying will list the x-51 rocket first. - Fix for potential mini lockup if you have many select macros and enter combat for the first time: unused flyouts are created over time after login instead of all at once as you enter combat for the first time. - Fix for search in the ToyBox not working while Select is enabled. - Fix for toys not found when newer filters (expansions, unusuable) hiding them. - A better fix for icons reverting to a red question mark. - toc update for 7.1 patch. - Fix for attempt to cache empty bag slots. - Fix for not all spell tabs checked in spell filters. - Fix for mount:spellID filters. Yeah it's a very limited use. I was wanting to use it for fishing. So when I'm out fishing I can just right click it and select the artifact of my class that i'm on or the fishing pole. I'm interested in the same thing... "/select <fishing pole>,<legendary for this class/spec>" without having to create one for each and every class. I use Fishing Buddy and sometimes it doesn't switch to my weapon when I'm attacked (enter combat). A single button to switch would be very useful. sort of works. As I cycle through my specs, Frost and Unholy work, Blood comes up with a ? instead of the Maw of the Damned. Right click shows Maw of the Damned as the only choice. However, when I equip a fishing pole, the button greys out and I can't select anything (in any spec). Last edited by bsmorgan : 11-20-17 at 04:29 PM. I'll think on it. This is perhaps rather complicated from a couple angles. If you (or anyone reading this) could give any other examples on how it'd be used it may help to search for a solution that may be more widely used than a specific application that would muck up the works for one absolute use. Not sure if this can be done, but am confident that you can do it. Would it be possible to allow Select using macros? Except items/skills? I have two last tier talents macroed and often swap between them (on the same action bar slot), let's say one is "Macro ABC", another "Macro XYZ". Select macro would be like /select Macro ABC, Macro XYZ. It's not impossible, but this addon would become a different addon if it did this without Blizzard making some changes on their end. Last edited by Gello : 04-16-17 at 10:19 AM. Is there a way to /select an equipment slot? But I wondered if I could set one up that I didn't have to change whenever I got a new belt. Thanks. /select type:INVTYPE_WAIST should pick up all items that go in the waist slot. Can you explain it a bit more? Artifacts can only be equipped by their intended spec and get auto-equipped when you switch into the spec. Yeah it's a very limited use. I was wanting to use it for fishing. So when I'm out fishing I can just right click it and select the artifact of my class that i'm on or the fishing pole. I didn't want to manually put all the id's in because doing that for every single class is going to make it huge. I wanted to have a single macro for all my classes that would show my fishing pole and all the artifacts on that class so I could easily pop between them. Though I also have asked about /select ing macros in the past, which would make this possible as well so i could do /select Fishing Pole, Macro:Artifacts which would be MUCH more useful because I can see the ability to select macros going crazy far. I can use it for artifact selection, for selecting whether to summon mounts or summon pets or change my title using all the various addons macros that use them. I can see it being used for the fishing macro for Fishing Buddy then selecting another macro for putting on your other stuff. So yeah having a /select for Macros would solve all of these problems I think. Wow! This addon is amazing + very lightweight! The exact thing I need to store all my mounts into! 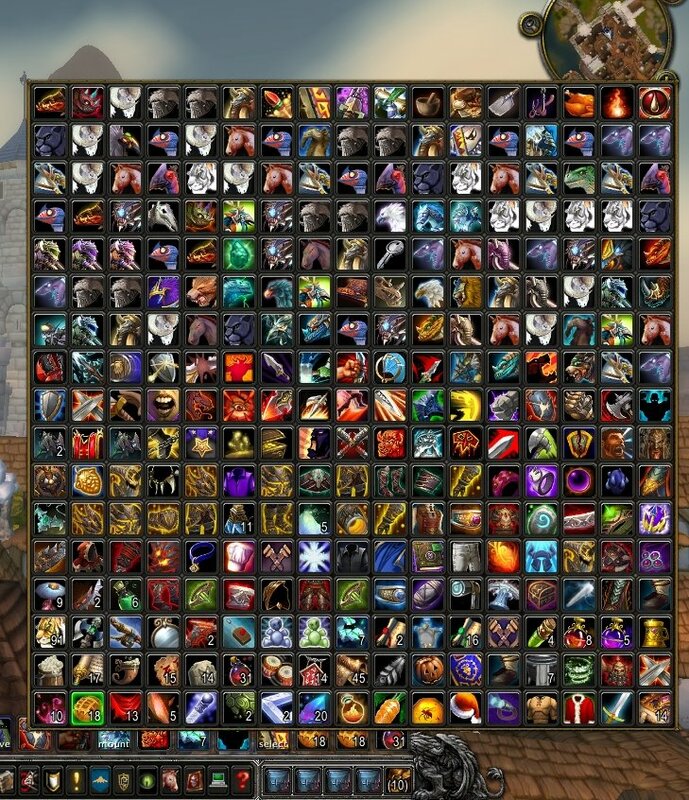 The question is, can I make it look like default blizz drop down, that is, like FloFlyout ( https://mods.curse.com/addons/wow/floflyout )? I really hate golden color and borders. Please make option to make it look blizzlike. Thanks! This addon is on my slate to look at this week. No promises but I'll see if some visual option(s) can be added. Last edited by TokyoGhost : 09-18-16 at 02:35 AM. Thank you for the fix/update and the comprehensible explanation. The m: prefix works quite fine with an ID, and so do m:fland and m:fflying.